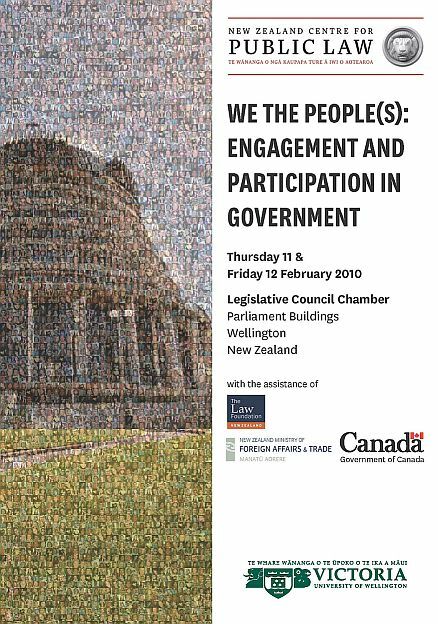 The NZ Centre for Public Law is running a conference in early February (11th & 12th), exploring the public's engagement and participation in government. I'm one of the folk organising it (and speaking at it too) but it fair to say - I hope - that the line up looks really interesting. I'd encourage people to consider attending.